Successfully Added Flexible Mini Bluetooth Headset - A2DP Profile to your Shopping Cart. Flexible Mini Bluetooth Headset - A2DP Profile. 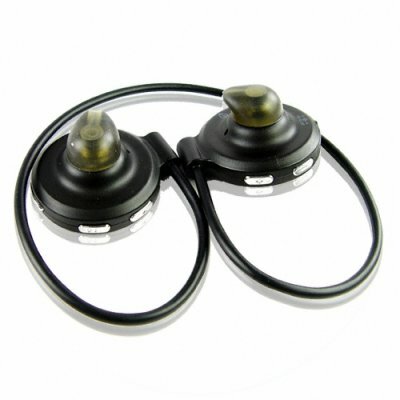 Mini Bluetooth headset with a nice flexible design, perfect for any head shape, and featuring A2DP profile for direct playing of MP3 music from your Bluetooth enabled mobile phone. Lightweight with convenient charging via USB or mains adapter, this Bluetooth handsfree kit will easily keep you connected at all times with friends and family. Other features include a long lasting battery for up to 60 hours standby time, clear stereo sound effect, a high quality built in MIC, and two pairs of swivel earbuds. This great product is available direct from Chinavasion to your country, with no M.O.Q. (no minimum order quantity) and one year warranty.